The 4th of July will be here before you know it! If you plan on spending your Independence Day in Greenville SC, you should start deciding how you would like to celebrate! Most of these events are great for families and anyone else who wants to partake in them, especially in you’re looking for where to watch fireworks in Greenville, SC. 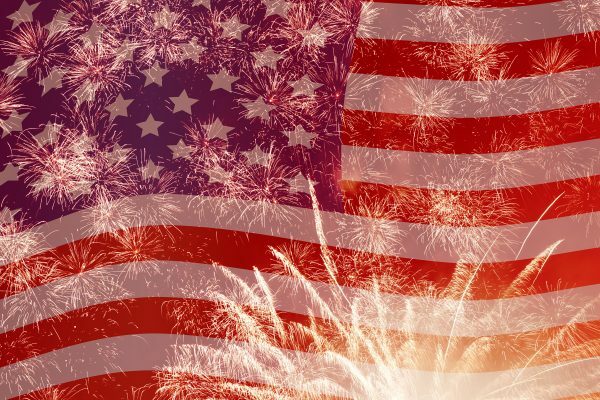 Take a look at a few of the things to do 4th of July in Greenville, SC! The Red, White and Blue Festival is something you won’t want to miss! If you’re trying to decide where to watch fireworks in Greenville, SC, this is the place to be. This festival is held in downtown Greenville on Main Street. If you’re wondering where to watch fireworks in Greenville, this is your place! This is a free event, which lasts from 5 pm to 10 pm. There is live music, children’s activities, and food stands. Keep in mind that the food, drinks, and kids’ rides require tickets, which are $1 each. The fireworks begin at 9:45 pm. If you’re looking for a way to switch things up this year, consider taking a ride on the Freedom Train. This train ride starts at the Bryson City Depot at 7 pm. It takes a stop at the Fontana Trestle, where you can enjoy the view. Then it returns to Bryson City, where you can watch the fireworks! Keep in mind that tickets are required for this train ride. American food will be served aboard the Freedom Train too! For several years, a parade has been held in the Earle Street neighborhood. In the past, it has been held in the evening at around 7 pm. It begins at Earle Street and continues to North Main. The exact time hasn’t been shared yet, but it should be announced shortly. Watch their Facebook page for the details so that you don’t miss it! For the eighth year in a row, the Greenville Track Club presents a 5K race called Red, White & Blue Shoes. It’s held at Furman University. In the past, this event has taken place on the 4th of July at 8 am. This is a fun way to get some exercise and enjoy being a part of your community. Plus, the proceeds from the race go toward the Blue Shoes scholarship fund. The money also goes to help the track program at Furman University. In the past, live music has been performed at Gottrocks on the 4th of July. The date and time have not been announced for the 2018 show, so be on the lookout for those details! The band and artist information has yet to be announced as well. Greenville, SC is a great place to celebrate the 4th of July. There’s plenty to do to keep you and your family busy. More events should be announced over the next few weeks, so be sure to check out local event pages to learn more. Worried your old appliance won’t stand up to the heat this summer? Greenville Appliance Repair can help! Let them put your worries to rest while you enjoy your fun in the sun.